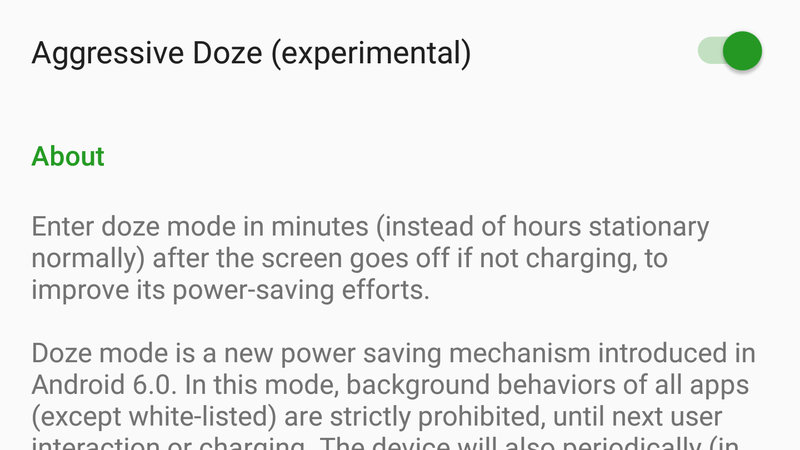 Android Doze is an unsung hero, saving your battery when you're not using your phone. Third-party apps like Greenify, ForceDoze and Naptime can squeeze even more juice out of your phone, but they can do a whole lot more if you tweak them. Android Doze works by temporarily disabling things like network access when you haven't used your phone in a while. In Android 6.0, this feature kicks in when your phone is stationary and the screen has been off for a couple of hours. Android 7.0 added the ability to turn on Doze even when your phone is in your pocket or purse (which still registers as movement), as long as the screen is off. However, in both cases, it can take hours for Doze to kick in. If you check your phone every hour or so, you won't get the benefits. Third-party apps like Greenify, on the other hand, can adjust Doze so that it activates after minutes instead of hours. You can also tweak certain aspects of how Doze works, like whether it turns on while you're charging, or if it disables Wi-Fi. There are several of these apps out there and they each have different strengths and weaknesses, so we'll go over each of them and who they're for. Greenify has been a Lifehacker favourite since before Doze even came out. Its Aggressive Doze mode forces Doze to activate in minutes instead of hours, saving you a ton of battery life. If you're on Android Marshmallow, it can also activate Doze even when your device is moving, which is normally a feature reserved for Nougat users. While Greenify doesn't require root, you'll need to enter a couple of ADB commands to enable Aggressive Doze mode. The first time you run Greenify, it will walk you through this process using the steps here. If you're already comfortable with ADB, plug your phone into your PC and enter the appropriate following commands, depending on what device you have. That's all you need to do! After this, Greenify will automatically enable Doze every few minutes or so. If you're on Marshmallow, you'll also get a lot of the benefits of Nougat's Doze On the Go. Greenify works best for people who want to set it and forget it, and those who don't want to bother tweaking too many settings. 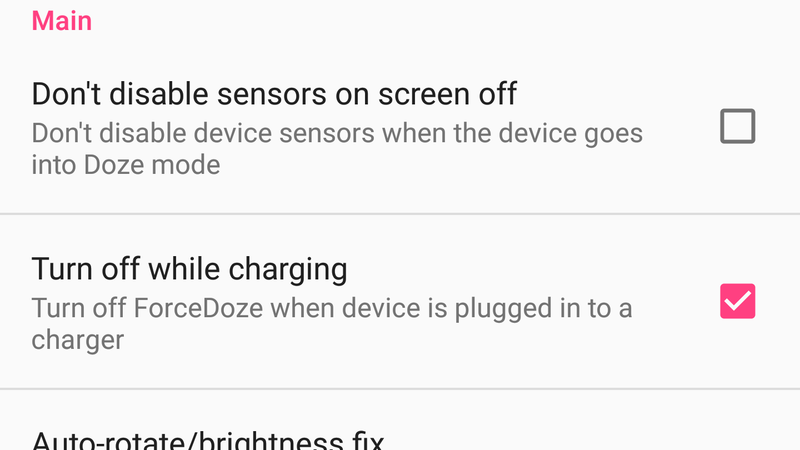 Turn off while charging: This option will tell ForceDoze to use the standard system settings whenever your phone is plugged into the charger. This is handy if you keep your phone plugged in at your desk and want to get your messages in a timely manner. Ignore lockscreen timeout: This option will force Doze to kick in immediately after you turn your screen off, which can save you even more battery. However, if you turn your phone back on immediately after turning it off, it might take a few seconds to reconnect. Disable Wi-Fi during Doze: If you're constantly moving, this can save you some battery by preventing your phone from constantly connecting to and disconnecting from a bunch of different networks whenever Doze is on. However, if you usually stay in one place and are always connected to one Wi-Fi network, you might be better off leaving this disabled. 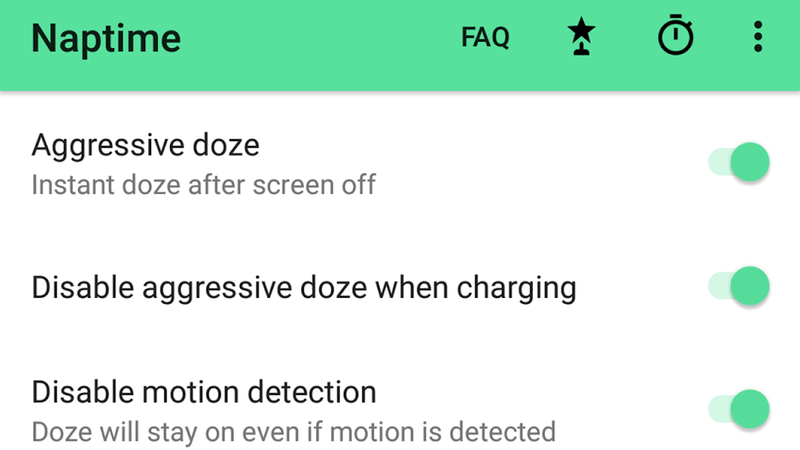 Disable motion sensing for Doze: This is similar to the Doze On the Go feature in Greenify. 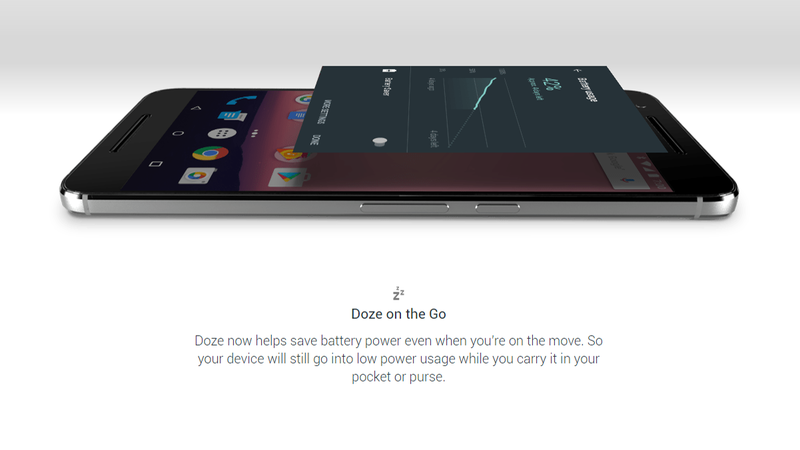 With this option enabled, Doze will activate even if your phone is moving — for example, if it's in your pocket or purse. Doze delay: Here, you can customise how long Doze will wait after your screen turns off before it will activate. If you like to have a lot of control over how your phone behaves, this is the option for you. ForceDoze allows a bit more customisation than Greenify, but unfortunately, it doesn't support Android Nougat. For some features like disabling motion sensing, that won't matter since Nougat already does that anyway, but others like setting a custom delay would be handy. If you're on Nougat and want to improve Doze, Greenify might be your best bet, but ForceDoze offers Marshmallow users more simple options. Sensors app whitelist: This allows you to choose one app that can still use motion sensors even when you disable them for all your other apps. For example, you can let your fitness app continue to track your steps during your run, while everything else is disabled to save battery. Inactive timeout: This advanced setting lets you determine how long after you stop using your phone that Doze should turn on. It's set in milliseconds, so be prepared for a bit of maths. You can also customise how long it takes before your sensors and location features turn off. Location accuracy: This setting lets you customise how accurately your phone determines your location. Determining your precise location takes up more battery, so this can help you save power in exchange for less precise location data. Naptime comes with a lot of advanced features that you probably shouldn't mess with if you don't know what you're doing. However, the basic features are already a huge boost over the standard Doze functionality for root users. All of these apps approach do largely the same thing in slightly different ways. Each one has different strengths depending on which version of Android you're running, whether or not you have root and how much you want to tweak your setup. However, all of them will help your phone last throughout the day. What phone is that in the picture?